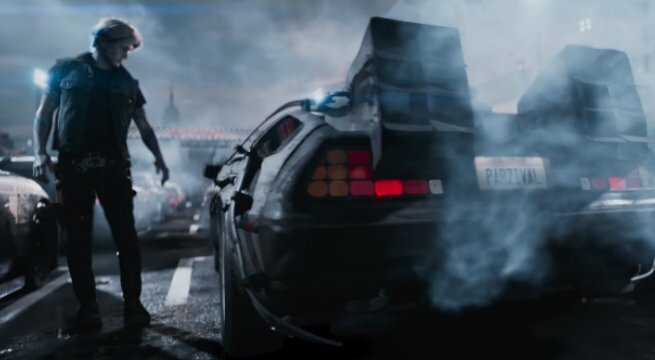 Warner Bros. and Amblin Entertainment have released the new trailer for Steven Spielberg's Ready Player One, which adapts Ernie Cline's bestselling novel and packs on the 80's nostalgia! Set within the dystopian future of 2045, the movie follows young Wade Watts, a teenager and gamer on a high-stakes treasure hunt in the all-encompassing video game of OASIS - a treasure hunt that will see the winner becoming the richest person on the planet, and the one in complete control of the digital universe. Starring Tye Sheridan, Olivia Cooke, Ben Mendelsohn, Simon Pegg, Mark Rylance, T.J. Miller, Hannah John-Kamen, and Win Morisaki, Ready Player One arrives March 30th.